Built-in powerful CDN to syndicate your videos across world. Built on AWS CloudFront CDN, Muvi helps you deliver your videos across the world to your viewers in lightning fast speeds, without the trouble of buffering. Amazon CDN caches your video content across their global network of over 42 availability zones within 16 geographic regions around the world, bringing it closer to visitors from every region. With CloudFront, we can deliver video streams more seamlessly and at a faster rate optimizing our network for content delivery while reducing the time for deployment and upfront investment costs. Muvi is designed and built to integrate with emerging technologies to ensure that our customers receive the most advanced and trending technologies on the web today and tomorrow, if there is a deliver network you prefer apart from AWS, do let us know and we can do a custom integration for the same. 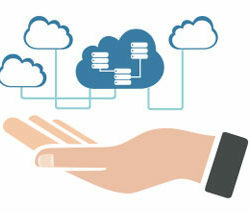 Muvi is built on CloudFront accelerating the delivery of Website, Videos and other web contents over a global network. Muvi has implemented several performance optimizations that accelerate the delivery of your platform from the origin to your end users. 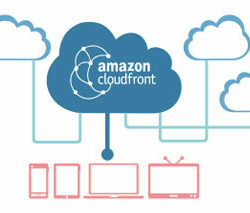 With CloudFront, Muvi is also able to detect the country where the end users are accessing your content from and deliver the content via AWS CDN from a node or server closest to the viewer thus increasing the performance of your platform and lowering the buffer rate of videos. Muvi comes with a single management console that lets you manage everything without any technical knowledge. Muvi’s offers a comprehensive & cost-effective solution where you only pay for what you use and gain more control over the prices you pay to deliver content without any upfront investment or binding contract commitments. You do not need to worry about input/output requests, input bandwidth, calls made etc, and only pay for what your viewers consume in terms of GB to Muvi. 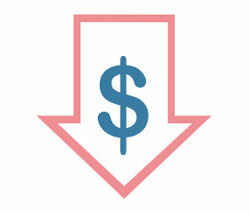 One flat pricing simplifies everything for you. Muvi seamlessly integrates with Industry-leading CDN’s allowing you to bring in your own CDN. Our platform supports & was built to continuously adapt and integrate emerging technologies to meet future needs of everyone. Integrate your choice of CDN and deliver content across the world without any hassle of technical problems. Your own CDN can be from the likes of Akamai to Limelight or else be even operator driven network or a local area network, Muvi can integrate with any of these and deliver the content to your viewers.